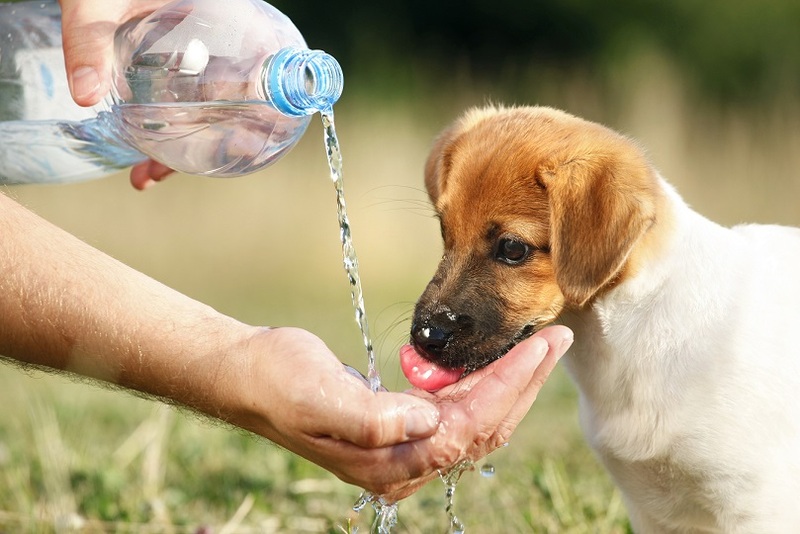 It is important for pet owners to be aware that heat can cause heat stroke and be disastrous and fatal for pets. On hot summer days we receive a number of animals presented with heat stroke and near death. Heat stroke is a dire emergency and one from which many do not recover. Here are some tips to keep your beloved pets safe during the warmer weather. Never leave your pet in the car on a hot day, even with windows down and in the shade, not even for a minute. It may take only 10 minutes for a pet left in a car to die. On hot days be mindful of pets outside, or enclosures unable to escape the heat, for example dogs in runs, and rabbit in hutches. On extreme heat days bring pets indoors. If this is not possible make sure they have plenty of shade, fresh clean water and some iceblocks to lick as a minimum. For pocket pets, you can freeze there sipper bottles so nice cold water comes out. Even an icepack in their cage! Other factors that increase pets’ risk of developing heat stroke are being in an enclosed space, humid conditions, overweight pets, exercising pets in the heat, age of the pet, pre existing heart or lung disease, or if the pet is taken on holidays to a climate they are not used to. Why does heat stroke occur? Living cells of the body have temperature tolerant limits. Go beyond these limits and the cells break down. The longer the cell is above the 45 degree level, the faster cell death occurs, and the less likely the pet will recover. In fur-covered animals, they have few sweat glands, and their main way of cooling off is by panting. Signs of heat stroke are intense rapid panting, pounding heart, wide eyes, salivating, brick red gums, staggering, and weakness. They can then collapse, become unconscious, then gums then go pale and dry. If you think your pet has heat stroke it is an emergency. For first aid, make sure the pet is put in a cold area or shade. Start soaking the body with cool water. Make sure that the water soaks to the skin and doesn’t just run off the fur. Don’t’ use cold or icy water, otherwise the superficial vessels at the skin constrict and the hot blood is trapped within the body, so the body stays hot still! Always seek Veterinary attention immediately!